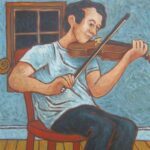 News from Algoma Trad about Benefit Ceili and Fundraiser for Sandra Hodge, December 8; First Dance of 2018, January 5; successful Fall programs including Tree Planting, Birdfeeder Workshop, Community Dance in Schools, and grantsgrantsgrants; plus Desbarats Christmas Bird Count by Kensington Conservancy. 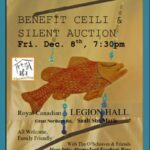 Benefit Ceili and Fundraiser for Sandra Hodge, Royal Canadian Legion Hall, 96 Great Northern Rd., Sault Ste. Marie, Friday, December 8, 7:30 PM. All welcome. 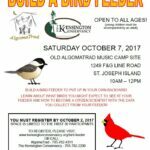 AlgomaTrad and the Kensington Conservancy hold a Bird Feeder Building Workshop, Saturday, October 7, 2017, 10am to 12 noon, 1249 F&G Line, St. Joseph Island. 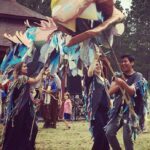 “The Rivers Speak” community play- a magical event! 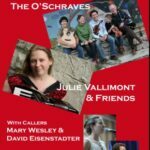 “The Rivers Speak” community play wrap-up. 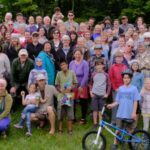 AlgomaTrad 2017 – What A Week! 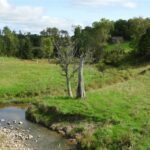 AlgomaTrad 2017 wrap-up and thanks. Tree Planting at AlgomaTrad’s Heritage Arts Centre Site! 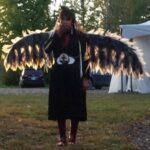 The O’Schraves perform in the Thinking Rock Community Arts play “Gigidoowag Ziibiik (The Rivers Speak)” at the Mississaugi Pow Wow Grounds, Blind River, September 6th to the 16th. AlgomaTrad Silent and Live Auction 2017, Thursday, August 17, 7PM, Legion Hall, Richards Landing, St. Joseph Island. 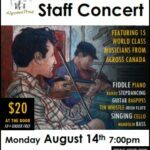 The Annual AlgomaTrad Staff Concert 2017, Monday, August 14, 7pm, Centennial Grounds, Richards Landing, St. Joseph Island. 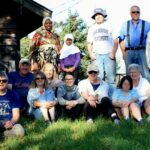 Thinking Rock Community Arts is holding community casting calls for their Rivers Speak Community Play from July 24 to 28, in Blind River, Elliott Lake, Mississaugi First Nations, and Serpent River First Nations. 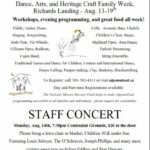 AlgomaTrad 2017 poster and general information about evening events open to the public.